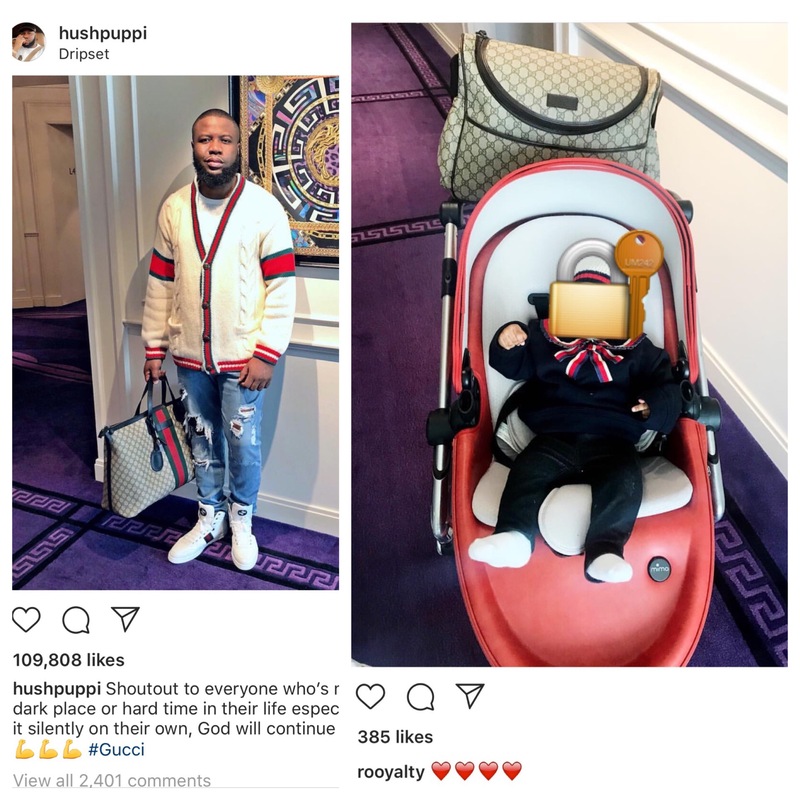 Popular Instagram Fraudster Hush Puppi’s Secret Baby Mama Revealed!! 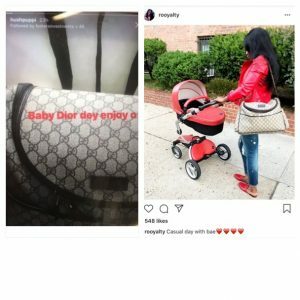 THE DIRTY ARMY: Instagram fraudster known for spending his stolen funds shopping everyday at Gucci has been hiding a secret baby mama and he is a deadbeat dad!! Hush Puppi’s secret baby mama is a Yoruba babe named Mo from Brooklyn, New York. She has been low key dating Hush Puppi since 2014 and gave birth to baby Nourah’Dior. They do not follow eachother, the arrangement is she is not allowed to post him so she only posts the back of his head calling him “Baba Dior”. Mo met Hush Puppi while doing her own scams with fraudsters like @kingjaffejoffer so she would often visit Malaysia. 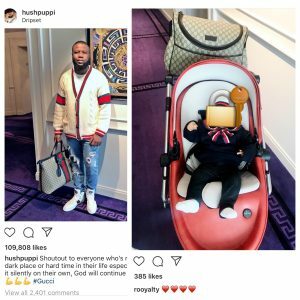 Hush Puppi is not able to visit the USA or Malay again because he is on the run so this babe would fly to Dubai with the daughter whenever Hush feels like being a dad!!! Baby mama Mo has been collecting her child support in designer goods since that is all she cares to flaunt & tag on Instagram or she does a borrow pose with his leftover shirts once he has finished stretching them out with his big belle.. Mo is sick of his antics! He does not give one kobo for the child & provides no financial support because he can only swipe his yahoo card. 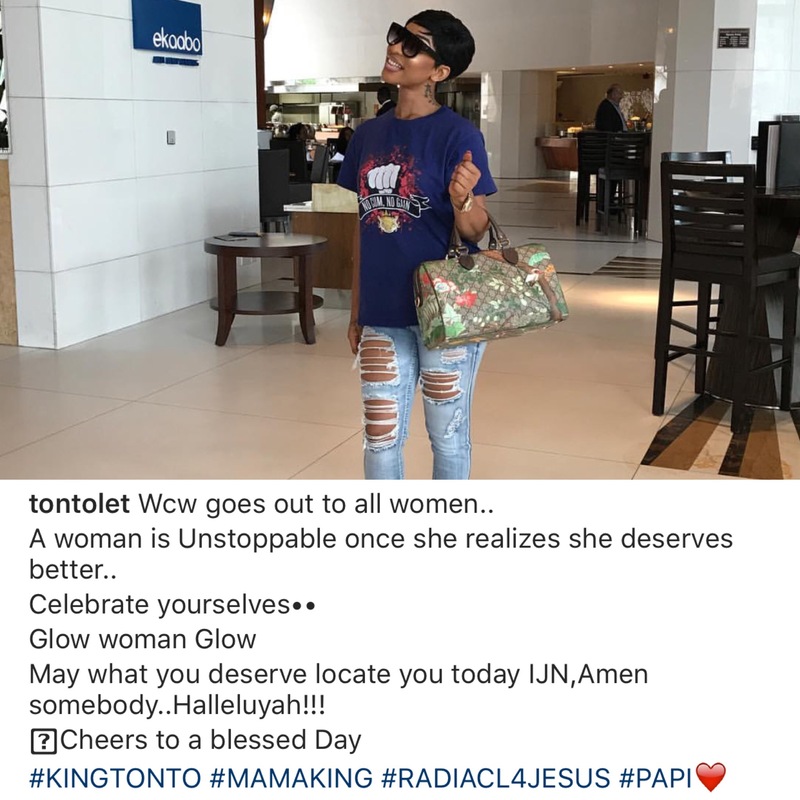 Mo asked for an expensive stroller and Gucci carrier bag for the baby and instead Hush went to give the Gucci bag to Nollywood actress Tonto Dikeh’s old toto. Mo threatened to go public so Hush had to bribe her with plenty baby Gucci to silence her na. Hush Puppi is a sugar boy and gigalo taking money from old Yoruba women, even Mo used to send him money in Malay. 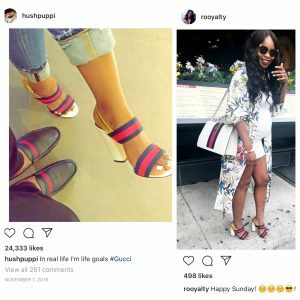 It can be recalled that millionaire Mompha disgraced Hush Puppi as an instagram fake so he now begged ex-beauty queen Dabota Lawson to use her leftover ashawo funds after being booted from her maritial home to secure him a plot of land in 9ja even though Hush Puppi is scheduled to be picked up by EFCC the minute he tries to land 9ja soil!!! 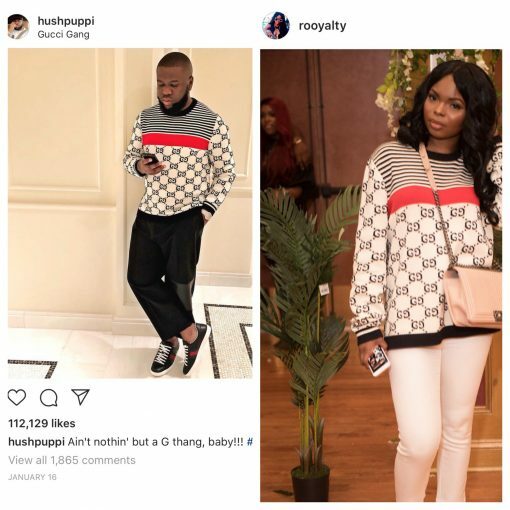 Look at him, big boy Hush Puppi aka the Guccimaster is just a disgrace and FAKE pretending to be what he is not handing out child support in stolen designer goods swiping his 419 card.. rubbish! Well done 9jagistlive Well DONE. Who saw that Godiamo tea?!!! Is shocking, my naija people wya??? Who cares about a stubby fat black guy? Or that he has a kid. was this guy going to change the world or something? he isnt attractive… he’s short.. fat.. frontin like he is a baller. Why do you want to ruin his illusion? he bang and release you?